Alwin, 05 Jul 2014Hi I want to buy this mobile. But getting many confusion. Many of the customers opinion is ... morebattery performance is ok don't very dude. not a single android phone hv battery backup for 2 days. all phone will be charged once in day. i m using this hand-set and complete one day battery backup. AnonD-269108, 05 Jul 2014ganesh,disabling apps will increase battery performance ?? Really ?? What to do abt heating i... moreyes bro disabling apps less consume battery power but disabled apps can hangs ur mobile too. so its on ur hand..disable or enable apps..
AnonD-248452, 05 Jul 2014my bro has bought this phone just 3 days back. now the available ram is less than 100 mb.i hav... morereset to factory setting and then don't install unnecessary apps. ganesh, 05 Jul 2014disable most inbuild apps nd games, then stop always downloaded apps nd games when not playin... moreganesh,disabling apps will increase battery performance ?? Really ?? What to do abt heating issue?? 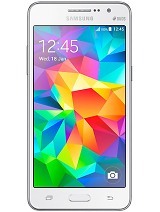 AnonD-248452, 05 Jul 2014my bro has bought this phone just 3 days back. now the available ram is less than 100 mb.i hav... moredisable most inbuild apps nd games, then stop always downloaded apps nd games when not playing, i hv more than 500 mb games nd almost 500 mb apps, still my ram is 500 mb free. Alwin, 05 Jul 2014Hi I want to buy this mobile. But getting many confusion. Many of the customers opinion is ... moreLol if u use only whatsapp then u can use any poor battery mobile, i m using it nd battery is ok, i played 3D games, whatsapp nd fb too still i dnt hv any battery issue. 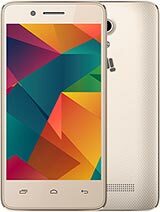 hi, i m using this fone, its awesome, u can play any high end 3D games on this fone, battery also not bad if u closed some inbuilt apps, its very smooth, go for it. Anon, 05 Jul 2014Do both of its sim-slots support 3G?Yes, both sim 3G support. all details are explained in old Commen. Do both of its sim-slots support 3G? I want to buy this mobile. But getting many confusion. Many of the customers opinion is battery poor perform. i bought this phone on 17 june 2014. Till now the performance is v good. Image quality is good. Video playback 1080p or 720p also. Support all the video formats Except .mkv by default player.online playback is good.display and viewing angles are awosome. 1080p and 720p Video recordable by handset. 2000 mah Battery performance is good for 5 inch display.clear sound in earphones and loud speaker. For gaming all the game are playable with 1 Gb ram and 1.3 ghz processor. It get warm when game are played but high end smartphone its not a problem. smart Keyboard is also good. Overall phone is excellent with range and features. U should buy it. I bought this set from flipkart yesterday everything is great except battery and heavy ui. There r many pros of this like hd screen,otg enabled , just waiting for kitkat update. Battery drains very quickly and with heavier ui phone gets less ram availability and heating issue. What is the compatible memory card for this canvas 2 Colours.????? AnonD-279309, 01 Jul 2014moto g is not a good option. go for canvas 2 colors its brilliant. u will love it for-sure. 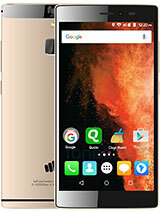 Go for canvas 2 colours or canvas elanza......nd both phn are asmmmmmm....nd canvas elanza have same ftrs..bt...it has 1.2 ghz qd core prcs with qalcum snapdragon ...so....both are good ..its ur chouse..
Ganesh Ganesh, 04 Jul 2014Canvas 2 colors is a very nice phone having a premium biuld quality. 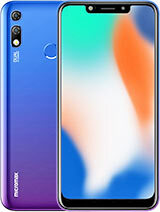 The phone looks nice feel... moreBest phone ever canvas colour, why buy the greedy company like LG,Samsung, sony if you look their Rs.15000 Phones there is no HD display, no Good Camera but they used as same as mircomax uses mediatek board & cortex processor. Price different double. they add on media & the rupees given by public. So avoid this bcoz your hard earn money. Canvas 2 colors is a very nice phone having a premium biuld quality. The phone looks nice feels very classy to be frank. It's benchmark score is the best among phones in this price range. The display is truly amazing with excellent viewing angles, a good camera. The camera can click really good images, but don't front cam is decent enough for selfies. The games r butter smooth on the device just check the gaming review sections.the games run lag free without even the slightest lag. 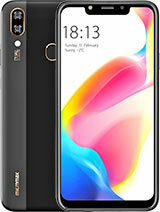 The MAIN DRAW BACKS ARE THE PHONES BATTERY, IT'S VERY BAD, if ur a person who uses a lot den u might have to think about it c9s the battery back up is very bad news very poor n also THE PHONE GETS HEATED UP WHILE PLAYING GAMES AND BROWSING. I've noticed through du battery saver app the phone reaches a temperature of upto 41°c n it's pretty hot. VERDICT - not worried about the battery issues, apart from that this is the best phone u can buy under 9k. 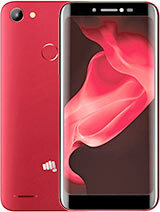 Total of 2554 user reviews and opinions for Micromax A120 Canvas 2 Colors.